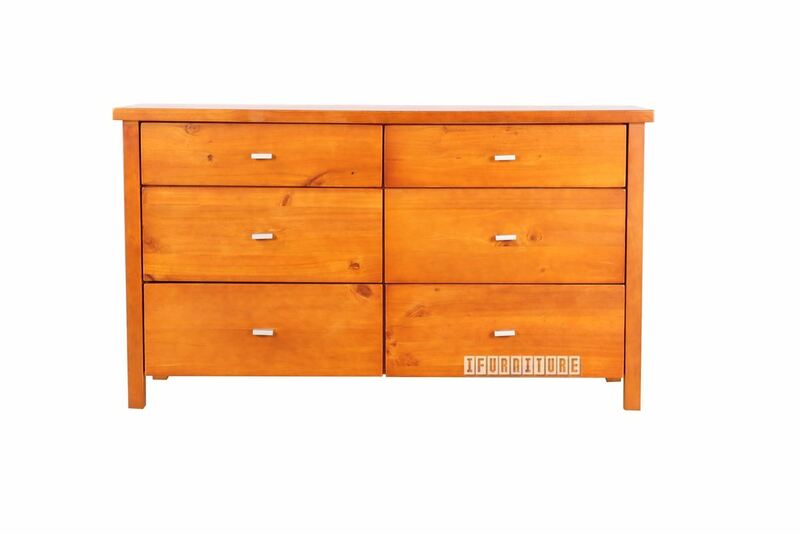 Our Aurora lowboy is a Solid Pine wood construction in warm orangey/honey colour. All drawers run smoothly on metal rails and have attractive circular, brass coloured handles. Pinewood was used extensively for Colonial furniture, and because of its advantages, is still greatly used today. Bedside tables and tallboys don't show growth rings in their timber, only the longer pieces on the beds will reveal the occasional ring.